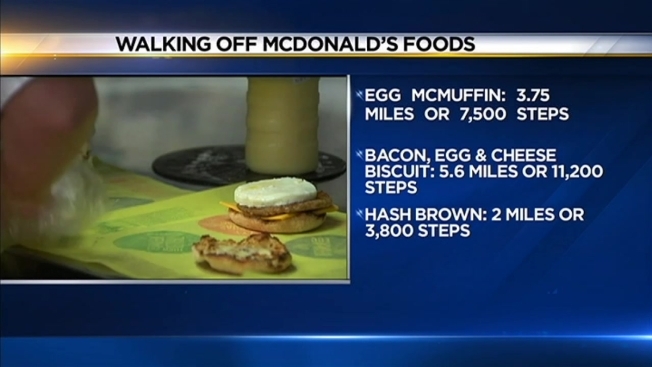 McDonald’s officially rolled out its long-awaited all-day breakfast menu last week, and some calorie conscious consumers have figured out just how hard it is to burn off those fast food calories. The fitness, nutrition and wearable technology company Matchup wanted to “put things in perspective,” so they calculated the most popular menu items and drilled down exactly what you’ll need to do after indulging before the meal makes its way to your belly or backside. See an entire list of nutrition information for all of McDonald's menu items here.